Smith – "the last thing I wanted to see was conditions like today"
More green on the Tech3 livery, this year…? The Monster Yamaha Tech3 squad had a steady first day of testing at the third official IRTA test, from Jerez. 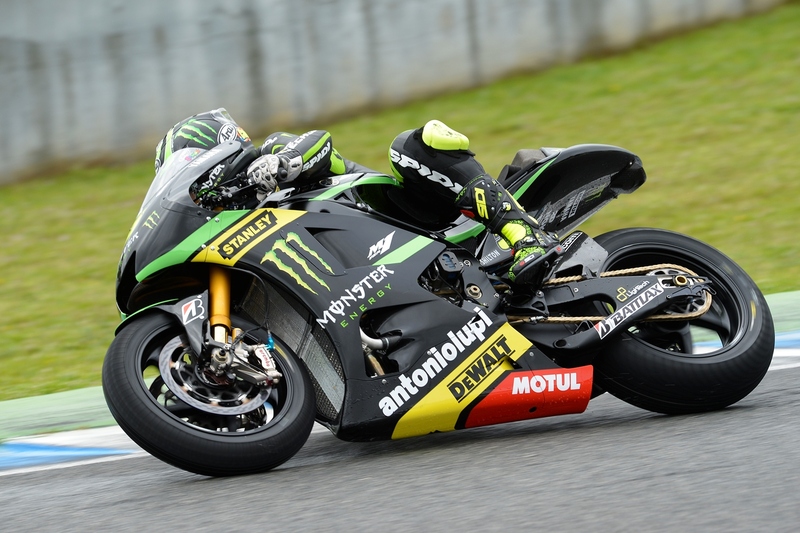 The weather conditions allowed a lot less developmental activity to occur throughout the morning, with Crutchlow not taking to the course on his M1 for the first several hours of the session. Previous Previous post: Dovi: "Today’s times aren’t really a reference"